Spectators wearing boating blazers gather during the annual Boat Race between Oxford and Cambridge University along the River Thames in Putney on April 02, 2017 in London. 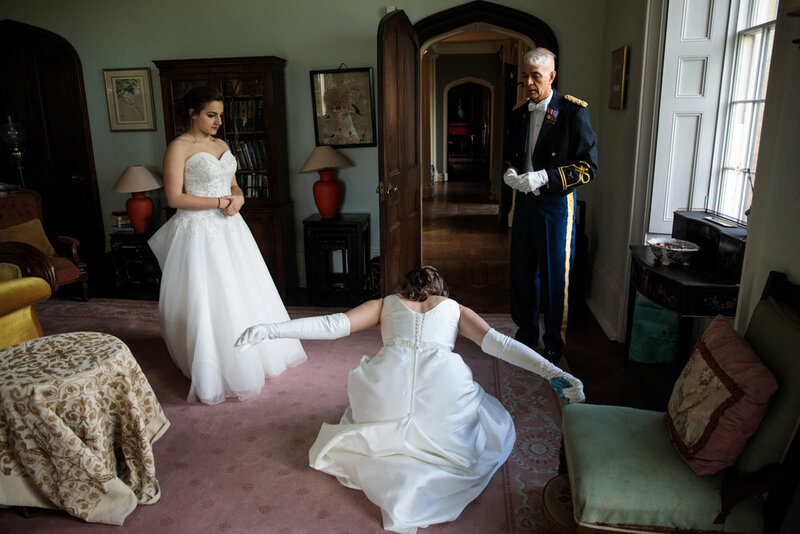 A debutante practices her dip curtsy at Boughton Monchelsea Place ahead of the Queen Charlotte's Ball on September 09, 2017 in Maidstone. 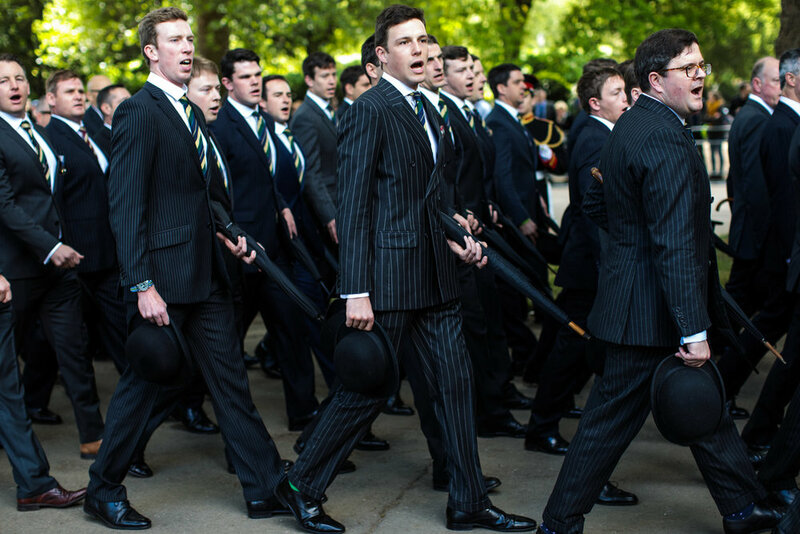 Cavalrymen march during the Annual Parade and Service of The Combined Cavalry Old Comrades Association in Hyde Park on May 14, 2017 in London. 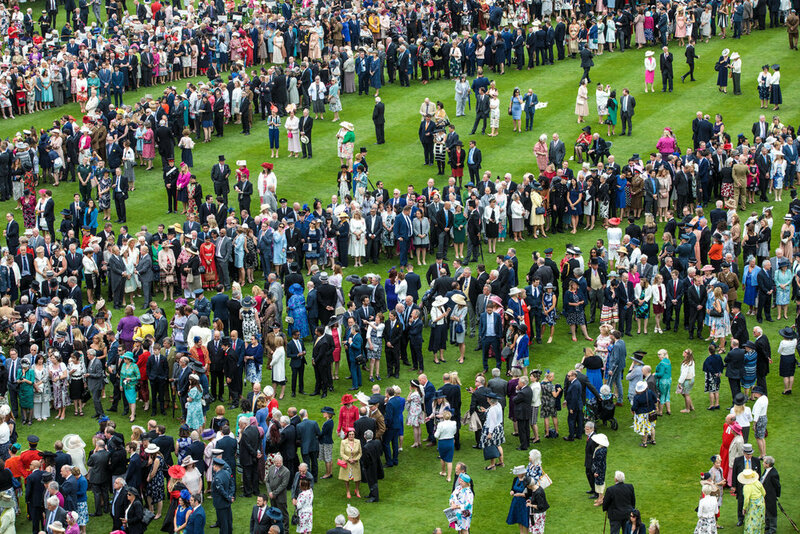 Guests form lines as they wait to meet members of the Royal Family during a garden party at Buckingham Palace on May 16, 2017 in London. 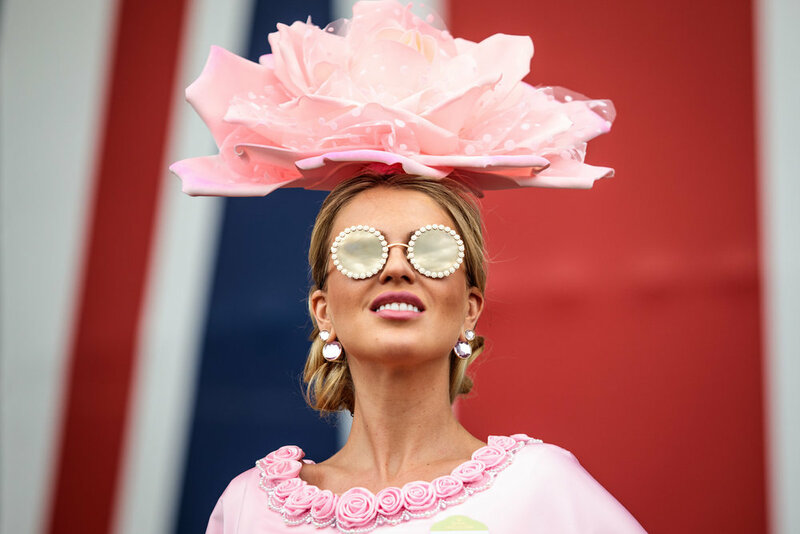 Model Natalia Kapchuk poses for a photograph at Royal Ascot 2017 at Ascot Racecourse on June 22, 2017 in Ascot. Visitors try-on and purchase clothes at a stall at the Chelsea Flower Show on May 25, 2017 in London. Racegoers eat and drink by their Bentley in a car park on day 3 of Royal Ascot on June 22, 2017 in Ascot. 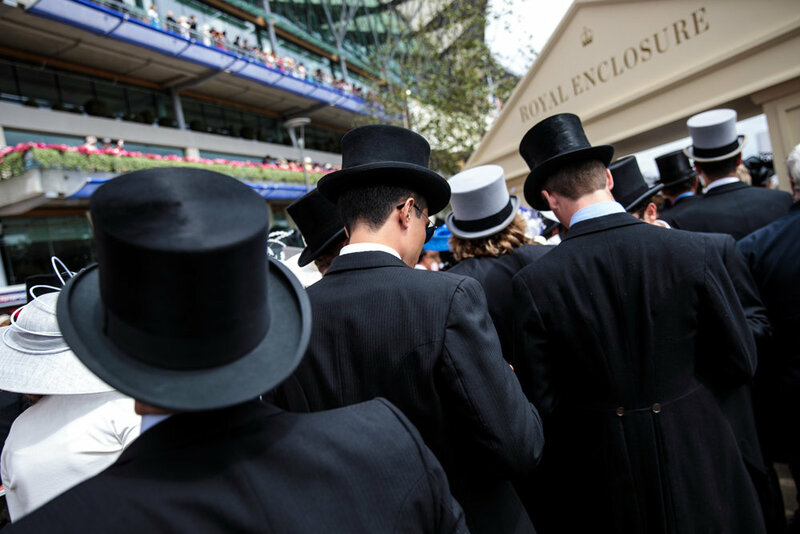 Racegoers attend Royal Ascot 2017 at Ascot Racecourse on June 22, 2017. Racegoers take pictures during a race at Royal Ascot 2017 at Ascot Racecourse on June 21, 2017 in Ascot. Spectators gather along the bank of the River Thames at the Henley Royal Regatta on June 28, 2017 in Henley-on-Thames. A crew gather around the rowing boats following a race at the Henley Royal Regatta on June 28, 2017 in Henley-on-Thames. Visitors arrive to the grounds of Glyndebourne opera house with picnics before a production of La Traviata on August 04, 2017 in Lewes. A bow tie is worn by a member of the Seattle-based Green Lake crew at the Henley Regatta on June 29, 2017 in Henley-on-Thames. A rowing crew prepare ahead of a race at the Henley Royal Regatta on June 30, 2017 in Henley-on-Thames. Racegoers attend Royal Ascot 2017 at Ascot Racecourse on June 22, 2017 in Ascot. Debutantes arrive at Leeds Castle for the Queen Charlotte's Ball on September 09, 2017 in Maidstone. Visitors explore the Organ Room at Glyndebourne before a production of La Traviata in the opera house on August 04, 2017 in Lewes. Drivers show their Ferrari cars at Salon Privé on September 02, 2017 in Woodstock. Debutantes gather at Leeds Castle during the Queen Charlotte's Ball on September 09, 2017 in Maidstone.